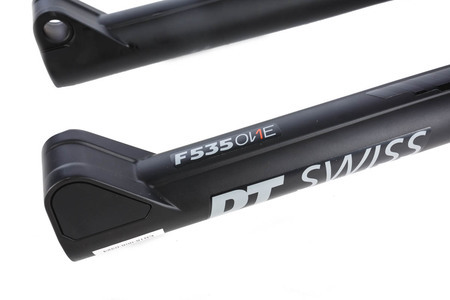 DT Swiss introduces a new all mountain fork, the F 535 ONE, which features two brand new technologies. The position sensitive damping, called PLUSHPORT, adds a new dimension, to the common speed dependent damping system. PLUSHPORT allows low compression in the beginning stroke and is ramping the compression up the further you go into travel. The spring system, called COILPAIR, combines a positive coil spring with an air spring system. 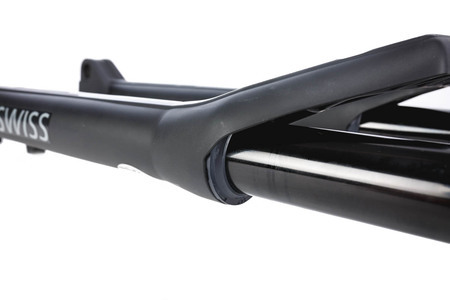 The zero breakaway force of the coil spring providing real coil sensitivity in a lightweight spring system. 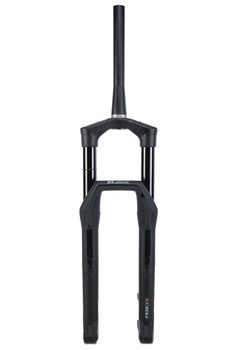 With those wolrd's first technologies the F 535 ONE is the only fork which overcomes the trade-off between small bump sensitivity and mid-stroke support. Besonders das aufgeräumte Design der neuen Federgabel hat uns überzeugt. Technisch ist sie ebenfalls auf dem neuesten Stand. Sie zeigte auch ein sehr gutes Ansprechverhalten.